Today (December 10, 2014), the Second Circuit court of appeals delivered a stunning rejection of Government insider trading theories in United States v. Newman and Chiasson, Nos. 13-1837, 13-1917 (“Newman”). Coming from an appellate court traditionally receptive to government efforts to extend the scope of insider trading liability, this decision may have a major impact on insider trading enforcement, criminal and civil. The court not only rejected the theory of violation reflected in government-proposed jury instructions accepted by district court judge Richard Sullivan, it took the highly unusual step of determining that no evidence could support a conviction of Newman and Chiasson, and vacated the indictment with prejudice. In doing so, the court gave the government insider trading law enforcement entities – the Department of Justice and Securities and Exchange Commission – an impetus to reconsider their entire mindset on insider trading. You can read a copy of the opinion here: U.S. v. Newman and Chiasson. The case involved the use by hedge funds of analysts who are hired to scour all sources of business information to generate non-public sources of expected company performance, and feed that information to stock traders who invest in portfolios for their hedge funds. Todd Newman was a portfolio manager for Diamondback Capital Management, and Anthony Chiasson was one for Level Global Investors. Both funds are now defunct – they were forced to close because of the impact of the government’s insider trading investigation and charges (which now prove unfounded). 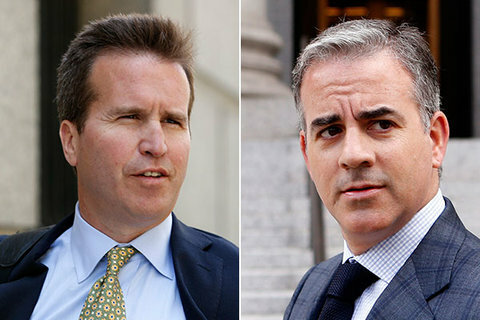 The indictment charged that a group of these analysts from several hedge funds communicated with each other and shared tips. Among the information they shared were earnings predictions emanating from tech companies Dell and Nvidia. The analysts did not know what motivated the insiders at those companies to provide this information. Neither of the insiders ultimately identified by the government as the sources of this information were prosecuted, criminally or civilly. The government went after the analysts and gave them deals as government witnesses to assist in the prosecution of the portfolio managers to whom they passed on these tips. In the past, the Second Circuit’s loose language in some cases suggested it was willing to accept extensions of the law beyond the strict language of Chiarella and Dirks. But in Newman, the Second Circuit obliterates that view of their cases. The panel provided an exceptionally clear statement of its holding and rejection of attempts to find support for the government case in earlier Second Circuit decisions. Even more important, it explained that the government’s preferred approach – to bar trading by persons with material non-public information as part of an overall concept of parity of information for all stock traders – had been rejected by Chiarella and Dirks and was inconsistent with how the financial markets are supposed to work. The court briefly explained the current status of insider trading law as set forth in what are known as the “classical” and “misappropriation” theories. “The classical theory holds that a corporate insider (such as an officer or director) violates Section 10(b) and Rule 10b‐5 by trading in the corporation’s securities on the basis of material, nonpublic information about the corporation.” That is because “there is a special ‘relationship of trust and confidence between the shareholders of a corporation and those insiders who have obtained confidential information by reason of their position within that corporation.’” This relationship means insiders have “‘a duty to disclose [or to abstain from trading] because of the ‘necessity of preventing a corporate insider from . . . tak[ing] unfair advantage of . . . uninformed . . . stockholders.’” Slip op. at 9-10 (quoting Chiarella). The court emphasized, however, that “the Supreme Court explicitly rejected the notion of ‘a general duty between all participants in market transactions to forgo actions based on material, nonpublic information,’” and instead “limited the scope of insider trading liability to situations where the insider had ‘a duty to disclose arising from a relationship of trust and confidence between parties to a transaction,’ such as that between corporate officers and shareholders.” Id. at 10 (quoting Chiarella). The “misappropriation theory” of insider trading liability “expands the scope of insider trading liability to certain other ‘outsiders,’ who do not have any fiduciary or other relationship to a corporation or its shareholders. Liability may attach where an ‘outsider’ possesses material non‐public information about a corporation and another person uses that information to trade in breach of a duty owed to the owner. . . . In other words, such conduct violates Section 10(b) because the misappropriator engages in deception by pretending ‘loyalty to the principal while secretly converting the principal’s information for personal gain.’” Id. (quoting and citing United States v. O’Hagan, 521 U.S. 642 (1997), and SEC v. Obus, 693 F.2d 276, 285-86 (2d Cir. 2012)). Finally, the court explained that the liability of “tippees,” who obtain information from others is governed by the same elements, regardless of whether the “tipper’s” duty arises from the classical or misappropriation theory. The key case on this is Dirks, under which, the Newman court noted: “The test for determining whether the corporate insider has breached his fiduciary duty ‘is whether the insider personally will benefit, directly or indirectly, from his disclosure. Absent some personal gain, there has been no breach of duty. . . .” Slip op. at 11 (quoting Dirks, 463 U.S. at 662, with added emphasis). Moreover, the Dirks Court “rejected the SEC’s theory that a recipient of confidential information (i.e. the ‘tippee’) must refrain from trading ‘whenever he receives inside information from an insider.’” Id. (quoting Dirks, 463 U.S. at 655). Instead, the Dirks Court held “that ‘[t]he tippee’s duty to disclose or abstain is derivative from that of the insider’s duty.’” Id. at 11-12 (quoting Dirks, 463 U.S. at 659). “Because the tipper’s breach of fiduciary duty requires that he ‘personally will benefit, directly or indirectly, from his disclosure,’. . . a tippee may not be held liable in the absence of such benefit.” Id. at 12 (quoting Dirks, 463 U.S. at 662). The Newman court then went about explaining why the government’s case against Newman and Chiasson failed to satisfy the key requirements in Dirks. It acknowledged that the Second Circuit had been “accused of being ‘somewhat Delphic’ in our discussion of what is required to demonstrate tippee liability,” but nevertheless, “the Supreme Court was quite clear in Dirks.” Slip op. at 13. In particular, tippee liability “derives only from the tipper’s breach of a fiduciary duty, not from trading on material, non-public information” Id. (This is critical, because the government’s refusal to accept this aspect of Chiarella and Dirks underlies many of the improper extensions of insider trading liability the DOJ and SEC pursue.) And there is no insider breach of fiduciary duty “unless he receives a personal benefit in exchange for the disclosure.” Id. at 13-14. Finally, “even in the presence of a tipper’s breach, a tippee is liable only if he knows or should have known of the breach.” Id. The court then pounded this point again: “Dirks counsels us that the exchange of confidential information for personal benefit is not separate from an insider’s fiduciary breach; it is the fiduciary breach that triggers liability for securities fraud under Rule 10b‐5. For purposes of insider trading liability, the insider’s disclosure of confidential information, standing alone, is not a breach. Thus, without establishing that the tippee knows of the personal benefit received by the insider in exchange for the disclosure, the Government cannot meet its burden of showing that the tippee knew of a breach.” Id. Then, in an unusual aside, the court noted that the government’s failure to accept this led to excessively “novel” insider trading prosecutions: “The Government’s overreliance on our prior dicta merely highlights the doctrinal novelty of its recent insider trading prosecutions, which are increasingly targeted at remote tippees many levels removed from corporate insiders.” Id. In light of Dirks, we find no support for the Government’s contention that knowledge of a breach of the duty of confidentiality without knowledge of the personal benefit is sufficient to impose criminal liability. Although the Government might like the law to be different, nothing in the law requires a symmetry of information in the nation’s securities markets. The Supreme Court explicitly repudiated this premise not only in Dirks, but in a predecessor case, Chiarella v. United States. In Chiarella, the Supreme Court rejected this Circuit’s conclusion that “the federal securities laws have created a system providing equal access to information necessary for reasoned and intelligent investment decisions . . . . because [material non‐public] information gives certain buyers or sellers an unfair advantage over less informed buyers and sellers.” 445 U.S. at 232. The Supreme Court emphasized that “[t]his reasoning suffers from [a] defect. . . . [because] not every instance of financial unfairness constitutes fraudulent activity under § 10(b).” Id. See also United States v. Chestman, 947 F.2d 551, 578 (2d Cir. 1991) (Winter, J., concurring) (“[The policy rationale [for prohibiting insider trading] stops well short of prohibiting all trading on material nonpublic information. Efficient capital markets depend on the protection of property rights in information. However, they also require that persons who acquire and act on information about companies be able to profit from the information they generate . . . .”). Thus, in both Chiarella and Dirks, the Supreme Court affirmatively established that insider trading liability is based on breaches of fiduciary duty, not on informational asymmetries This is a critical limitation on insider trading liability that protects a corporation’s interests in confidentiality while promoting efficiency in the nation’s securities markets. Slip op. at 15-16 (emphasis added). Appellate courts rarely decide on the appeal of a criminal conviction that a jury could not convict the defendant on the basis of the evidence presented. As the Newman court acknowledged: “As a general matter, a defendant challenging the sufficiency of the evidence bears a heavy burden, as the standard of review is exceedingly deferential.” Slip op. at 20. But the evidence presented by the government that either the insiders leaking corporate information breached a fiduciary duty, or that the defendants knew that such a breach of duty occurred, was so meager that the court dismissed the entire case on the merits. This is a huge and stunning blow, because it not only says the government got the law wrong, but that its entire view of what satisfies the required element of a “benefit” to the tipper in return for the tip is unacceptably distorted. The government will argue almost anything satisfies the “benefit” requirement. Nowadays, the government argues that almost any form of positive interaction between the tipper and the tippee satisfies the benefit requirement. The Newman court rejects that view handily. It notes that the government has taken permissive language finding a benefit may be more than just a pecuniary gain to an absurd logical conclusion: “This standard, although permissive, does not suggest that the Government may prove the receipt of a personal benefit by the mere fact of a friendship, particularly of a casual or social nature. If that were true, and the Government was allowed to meet its burden by proving that two individuals were alumni of the same school or attended the same church, the personal benefit requirement would be a nullity. To the extent Dirks suggests that a personal benefit may be inferred from a personal relationship between the tipper and tippee, where the tippee’s trades ‘resemble trading by the insider himself followed by a gift of the profits to the recipient,’ see 643 U.S. at 664, we hold that such an inference is impermissible in the absence of proof of a meaningfully close personal relationship that generates an exchange that is objective, consequential, and represents at least a potential gain of a pecuniary or similarly valuable nature. . . . While our case law at times emphasizes language from Dirks indicating that the tipper’s gain need not be immediately pecuniary, it does not erode the fundamental insight that, in order to form the basis for a fraudulent breach, the personal benefit received in exchange for confidential information must be of some consequence. ” Slip op. at 21-22. In one instance, the government contended that by receiving career advice from the tippee, the tipper satisfied the benefit requirement. In the other, the government argued that the required benefit was shown because the tipper and tippee were “family friends” that met through church and socialized occasionally. The court concluded with some apparent irony: “The Government argues that these facts were sufficient to prove that the tippers derived some benefit from the tip. We disagree. If this was a ‘benefit,’ practically anything would qualify.” Slip op. at 21. The court later reiterated: “The Government now invites us to conclude that the jury could have found that the appellants knew the insiders disclosed the information “for some personal reason rather than for no reason at all.” Gov’t Br. 65. But the Supreme Court affirmatively rejected the premise that a tipper who discloses confidential information necessarily does so to receive a personal benefit.” Slip op. at 25. This is a potentially far-reaching development. The government, and in particular the SEC, commonly treats the “benefit” requirement as de minimis in tippee cases. For example, in the recently filed case SEC v. Peixoto, in which the respondent Peixoto is alleged to be a second-level tippee (having allegedly obtained information from a tippee who was the roommate of a hedge fund analyst who had mentioned some non-public hedge fund activities), the only allegation bearing on “benefit” to the alleged tipper was that he and the tippee “were very close friends who had grown up together in Poland. From 2008 to April 2013, they shared an apartment as roommates in New York, New York.” The supposed benefit flowing to the roommate from Peixoto was that he “received a personal benefit by gifting confidential information to his friend, Peixoto.” That is precisely the sort of “benefit” rejected as insufficient in Newman. In short, the Newman decision strikes a major blow against government attempts to pursue attenuated insider trading theories. Insider trading must involve fraud in the traditional, common law sense. Coming from the influential Second Circuit, the impact of this decision could be huge. Unfortunately, it comes too late to save the Diamondback and Level Global hedge funds, who were effectively put out of business for doing nothing wrong, or their hundreds of employees. This entry was posted in Insider Trading, SEC Enforcement, Securities Law and tagged 2d Circuit, Chiarella, Diamondback, Dirks, elements of insider trading, fraud, government, insider trading, lawyer, legal analysis, Level Global, Rule 10b-5, SEC, SEC enforcement, Second Circuit, section 10(b), securities, Securities Exchange Act of 1934, securities fraud, securities law, securities litigation, U.S. v. Chiasson, U.S. v. Newman on December 10, 2014 by Straight Arrow.